Organically grown seeds. 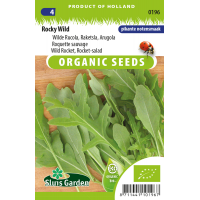 Wild rucola Rocky Wild has clearly finer leaves, is less prone to flowering and has a more pleasant, nutty flavour than the regular Rucola or even Pronto. A very attractive and fast growing variety. Can be cultivated in the winter months in large pots indoors. Sow directly in the soil in rows. Germinates quickly. 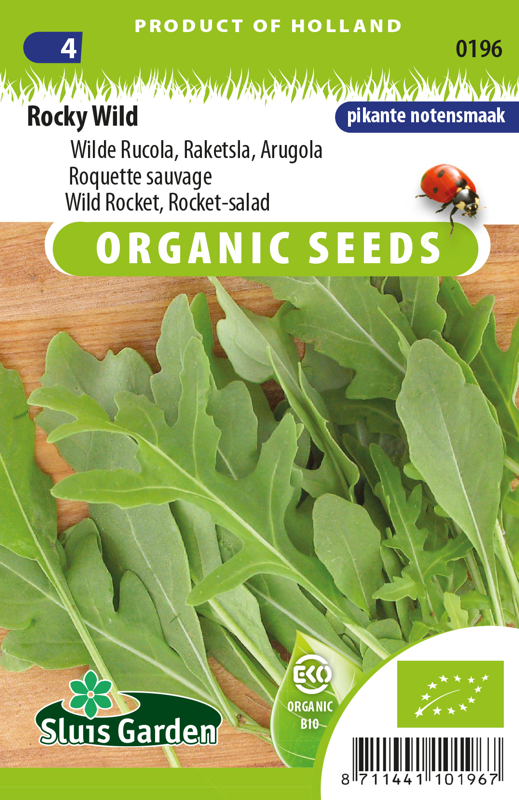 Sow at intervals of 2 weeks to ensure for regular fresh harvests. Harvest the leaves once they are 10-15 cm long. A delicacy in salads and for example with cheese dishes.